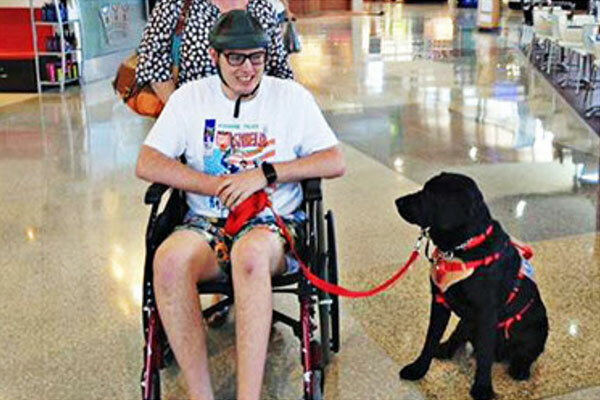 Children with autism feel safer, calmer and more understood through their bond with a Smart Pup Assistance Dog. 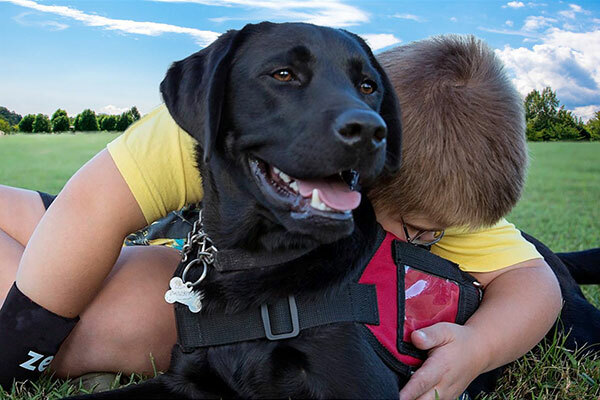 These trusty canine companions can increase an autistic child’s ability to cope with life, ease sensory overload and provide emotional support. 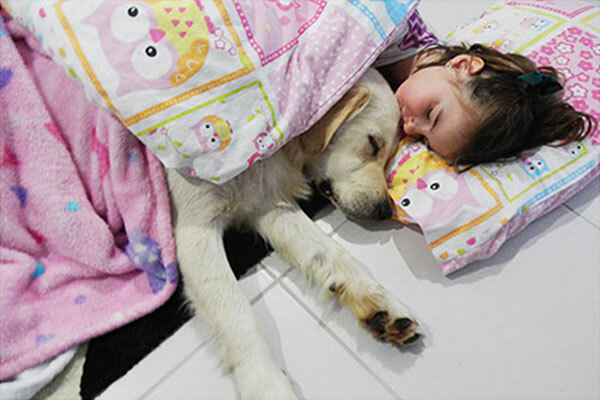 A Smart Pup acts as a bridge between each child and the outside world; guiding children through their daily routine, keeping them safe and comforting them when the world just gets too much. 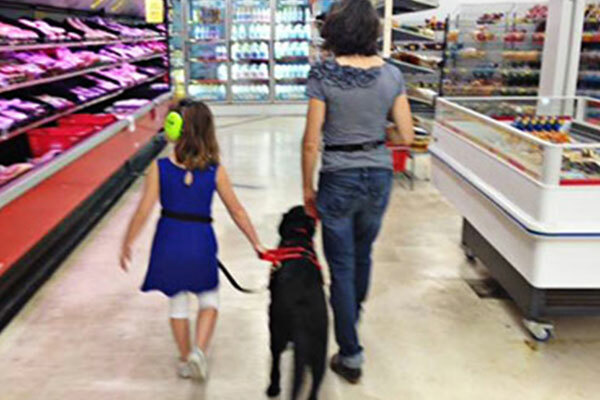 A Smart Pup provides safety and support to its child in public places, via a harness attached to its service coat. Smart Pups remain calm and anchored in position, preventing children from wandering off or running away, even if triggered by traffic or loud noises. This frees children and families from constant hand-holding, reduces anxiety and gives independence, while maintaining a sense of security for each child. 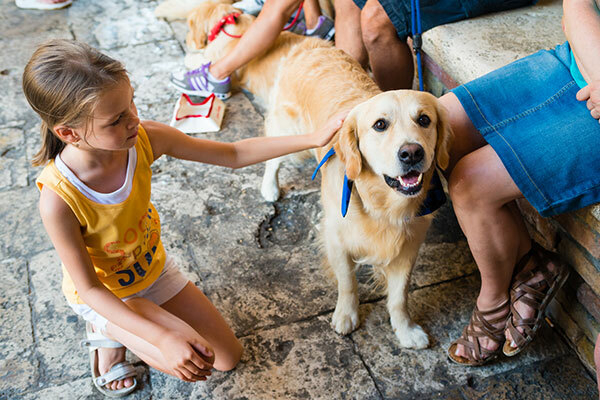 Smart Pups are trained to quickly find their child using their sense of smell. In an emergency situation where the child has run away or wandered off, this skill can be life saving. 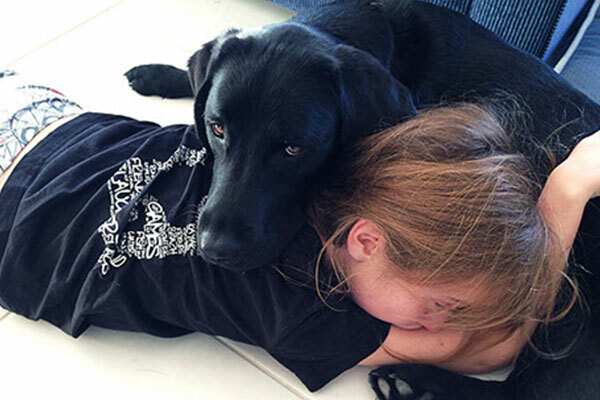 Smart Pups are trained to touch or nudge their child to disrupt repetitive or destructive behaviours. 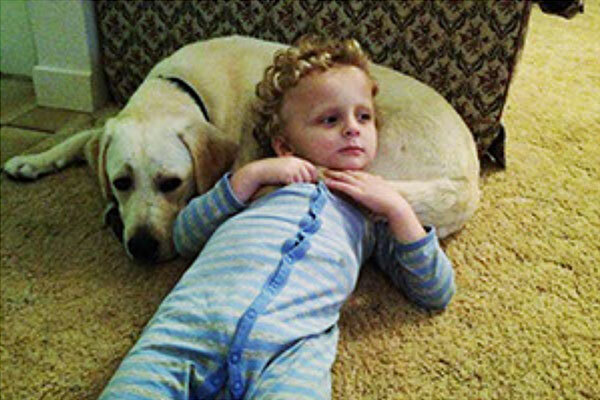 These Autism Assistance Dogs are also trained to snuggle and comfort their child if they become upset or distressed, which helps prevent the child’s emotional reaction from escalating into a meltdown. 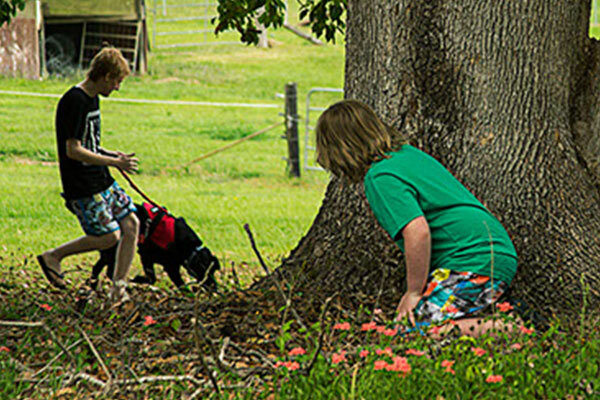 Medical studies and our professional experience confirm that children with a companion dog feel less pressure from their surroundings and have lower frustration and anxiety levels. This greatly improves children’s sleeping habits which leaders to better quality of life for their whole family.